Inventory control systems with RFID technology streamlines logistics, improves operational efficiency, eliminates errors, and prevents product shrinkage. You can monitor inventory levels, find products more quickly, keep a close eye on tools and equipment, and reduce operational costs with improved productivity & accuracy using the Litum RFID inventory management system. Our passive RFID technology allows managers to smoothly track the arrival/departure of shipments, automate shelving, and automate picking operations. Our inventory management software always knows what is inside the warehouse at all times and when a shipment has arrived. Businesses save on shipment losses, labor, and costs for correcting poorly filled orders. It is ideal for warehouse management, store inventory management in retail, and assembly line inventory management in manufacturing. Many man hours are spent tracking merchandise and shipments, and monitoring inventory on the shelves. It is an expensive and time-consuming manual process that companies can do better. Using RFID technology, you will know where every item of merchandise is located thanks to our warehouse management software that automatically logs the entry of shipments. Each shipment, piece of merchandise, and tool can be affixed with UHF RFID tags as it enters the facility. Every time a shipment is moved, the RFID tags are read by the RFID readers located at key points throughout the facility. The movement information is recorded, along with shipping information when pallets are loaded onto trucks for delivery. With this RFID inventory management system, you can also monitor delivery vehicle arrival and departure, store digital shipping orders and receipts online, and create order history reports. Managers can also set up automatic alerts when inventory gets low, or even to trigger automatic replenishment of a particular item. It's not hard to ensure that customer orders arrive on time at their destinations with our RFID for logistics solutions. Each customer order can be affixed with a shipping label with an embedded RFID inlay. 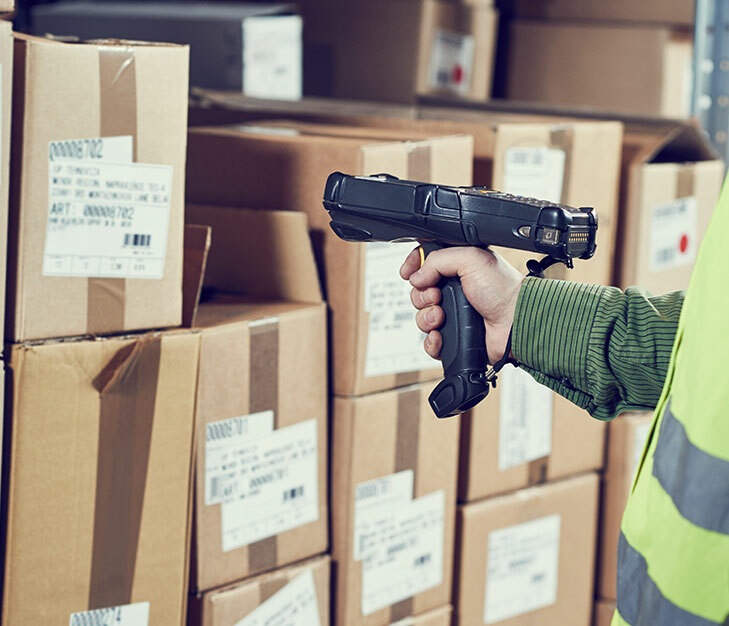 Every time the label is scanned by a handheld scanner or one of our fixed readers, our warehouse RFID systems automatically update the shipment data with new information. With the ability to automatically enter each shipment as it arrives, the warehouse management system streamlines the shipping and receiving process. Workers won't have to manually scan each pallet as it arrives. Litum RFID readers will do it during unloading. Our software can even check warehouse inventory and tell workers where to shelve each pallet. 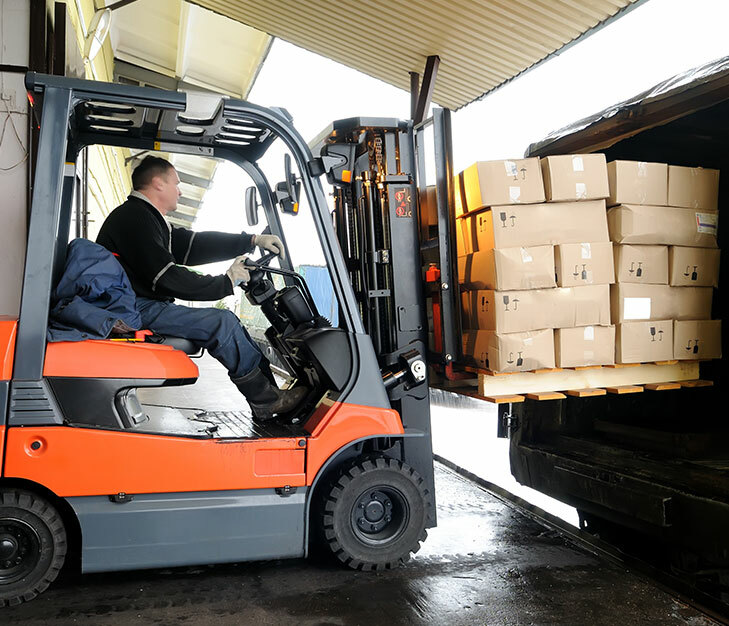 This makes finding the shipment for loading onto another truck a much faster process. Litum provides the complete set of RFID products, tags, and software, and can integrate the RFID inventory management system to your ERP system. Litum partners are in 35 countries and ready to offer sales and support services.